Revelstoke Mountain Resort is happy to cater to a number of different group types including Ski Clubs, University Groups and Corporate Events. 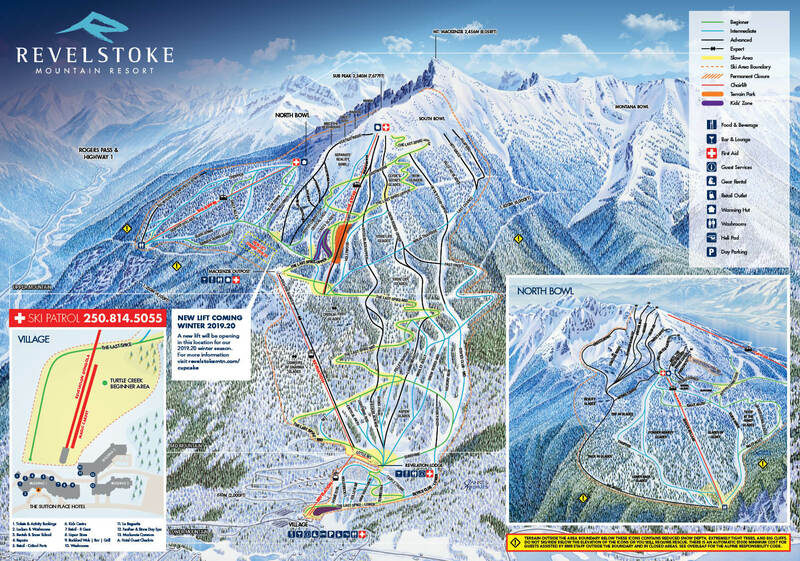 Revelstoke Mountain Resort offers special discounts on lift tickets, equipment rentals, specialty lessons, and accommodation. We can also arrange meeting spaces for welcome receptions and seminars at the Resort in The Sutton Place Hotel upon request. Contact us today to begin planning your Group Trip to Revelstoke Mountain Resort. Minimum of 20 people required to qualify for the group rate. Guests 5 and under will receive a complimentary lift ticket. Group bookings must be pre-booked in order to qualify for the group rate. Additional lift ticket discounts are not available on group tickets. Looking for Lessons or Rentals? We offer discounted lessons and rentals based on your group size and availability. Contact our Sales team today to start planning your custom trip. Access digital brochures including our trail map, sales presentation, informational flatsheets and corporate brochure. Please read through the following policies prior to making your Group Booking at Revelstoke Mountain Resort. Group bookings must be pre-booked 48 hours in advance in order to qualify for the group rate. A Group Coordinator should be designated to act as the primary point of contact with Revelstoke Mountain Resort. The Group Coordinator will be responsible for communicating group requirements and providing payment for the full group order. To set up an "ask-for" discount at the ticket window, please contact the Sales department directly using the above contact information. Note that any use of outside instructors or guides are subject to approval. Please contact the Sales department for a fee schedule and more information. To purchase your Group Lift Tickets, please contact our sales team at 1.866.373.4754 ext. #7226 or submit your inquiry online.